Earlier today, President Obama sent a message to the Obama Foundation email list on Mandela Day and Madiba’s legacy, and his reflections on the inspiring young people he met at the Obama Foundation Leaders: Africa convening in Johannesburg, South Africa. If you’d like to get updates like this and the latest news from the Obama Foundation, you can sign up for our email list here. On Wednesday, I had the honor of celebrating his remarkable life by sharing a few lessons I’ve taken from him with the people of South Africa. I’d like to share what I believe to be the most important of those lessons today. And I’d like to ask you to make a commitment, right here, right now, to honor the life of one of history’s great giants. Tell me what you’re doing, no matter how large or small, to make the world a better place. I believe that the most important thing that we can take away from Madiba’s life today is that the persistent struggle for hope, for justice and equality—for the long walk to freedom—requires a belief in youth. As strong as Madiba’s spirit may have been, he would not have sustained his hope had he been alone in his struggle. Part of what buoyed him up was that he knew that, each year, the ranks of young leaders were replenishing. He knew that young men and women—black and Indian and white, from across the countryside, across the continent, around the world—would, in those most difficult days, keep working on behalf of his vision. Today, more than ever, I believe in Nelson Mandela’s vision: that every generation has the opportunity to remake the world. Here, in South Africa, my Foundation convened 200 young people from across this continent who are doing the hard work of making change in their communities; men and women who reflect Madiba’s values; the youth who are poised to lead the way. People like Enock Nkulanga, who directs the African Children’s Mission, which helps children in Uganda and Kenya get the education they need. On Thursday, I had the opportunity to join these young leaders in an act of service at the Far North Secondary School in Johannesburg to commemorate the anniversary of Mandela’s birth. Though the work we did was simple—cleaning windows, building benches, painting murals—it left me with a profound sense of hope. 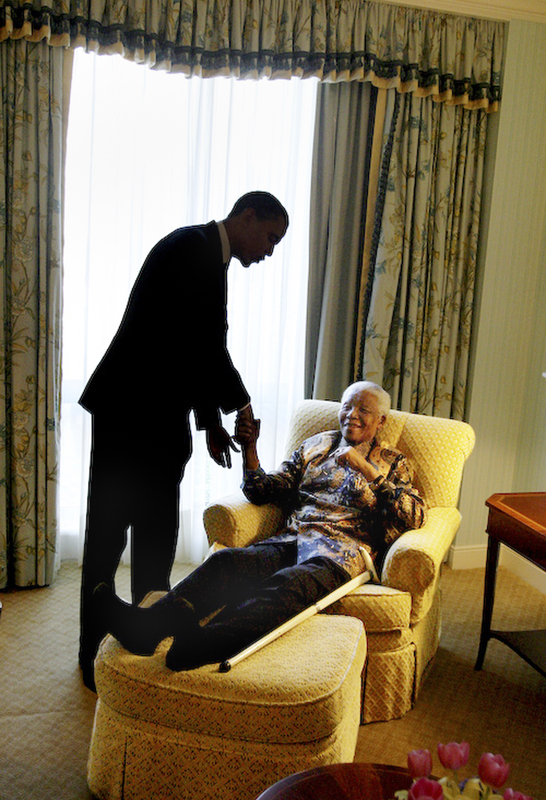 None of us can rest on the accomplishments of the past, even those as momentous as Mandela’s. But if we live our values and empower our young people, then they can pick up the work of the last 100 years, and lead us into the future. Honor Madiba’s life, and the way he changed the world by making a commitment to make a difference today. Even if it’s small. Especially if it’s small.